Good taste can be affordable with smart design and strategic use of materials to add elegance and character. 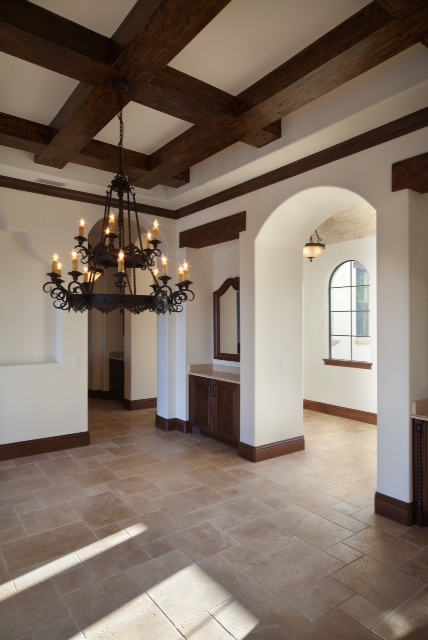 Luxury Homebuilder Jorge Ulibarri says faux beams are cost effective architectural elements that create a custom, old-world look on a budget. 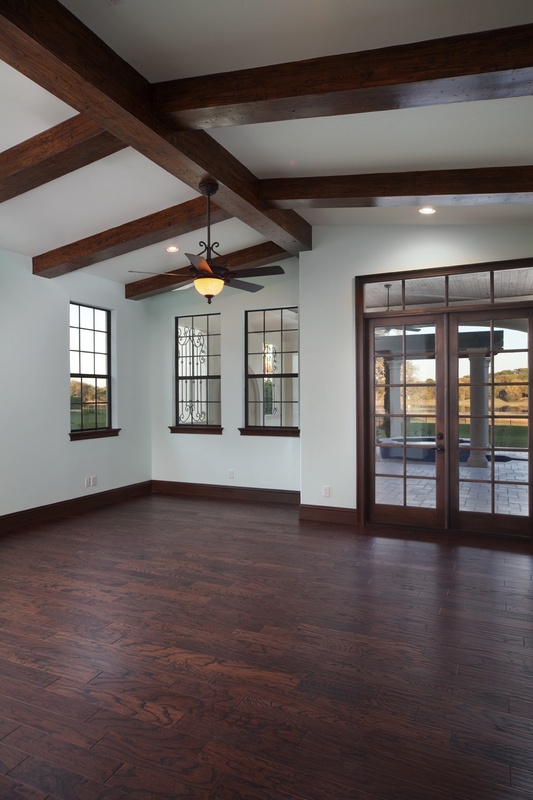 “Faux wood beams are the best buy for your design dollar because they are dramatic but cost one-fifth the price of a real wood beam,” explains Jorge, who has designed and built custom homes for all budgets for more than a decade. Jorge’s best money-saving advice is to plan ahead if it’s new construction. “The beams should be shown in the home’s drawings as with everything else that involves framing, so the framer includes them in the price of the framing package to avoid extra charges.” For homeowners thinking about adding faux wood beams to an existing home, the cost savings are still substantial. 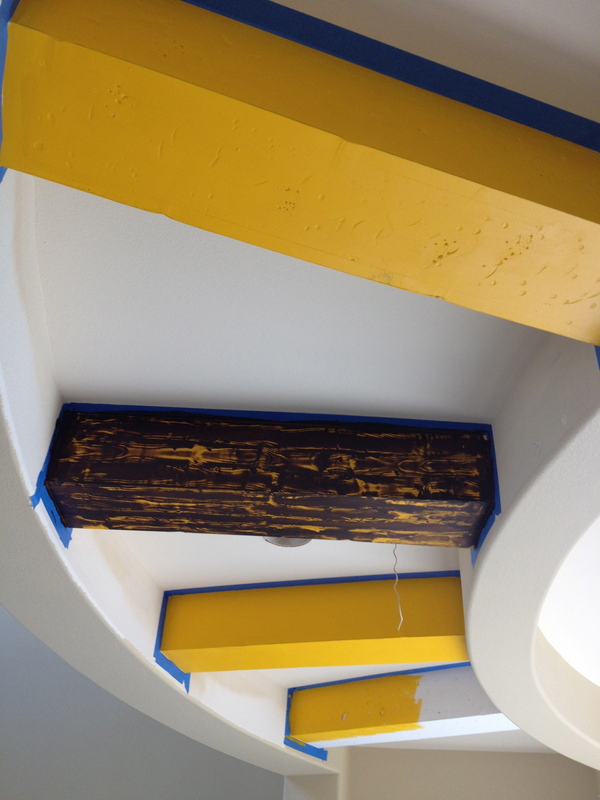 Homeowners should have an understanding of how these beams are made in order to hire the right person for the job. Here’s a “how-to” breakdown for creating faux wood beams. Step one is to have a carpenter frame the skeleton of the beam with 2 by 4s. 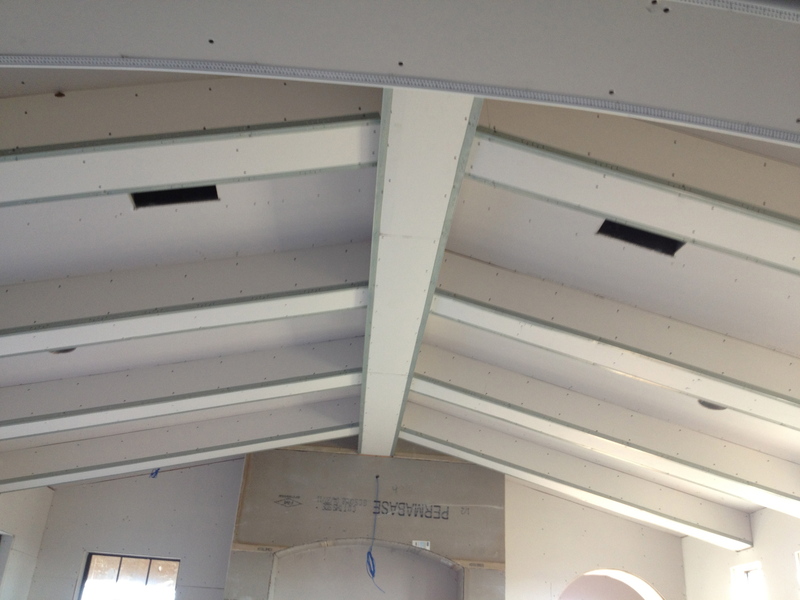 Let the drywall contractor wrap the beams in drywall as he does the rest of the house. Step two is the distressing of the beams. The craftsman will age and season the drywall with special tools. He can get even more creative by adding termite holes or gouges. Step three is the application of the first coat of paint. This will determine how light or dark the finished wood beam will be. Next, the craftsman applies a gel stain. Jorge recommends using the color Chestnut for the gel stain for a more realistic finish. Step four is creating the beam details. Using a special tool, the craftsman creates the grain and the knots in the drywall beam. Once this is done, the beams will sit for 24 hours and then he will apply a light coat of the same gel stain to give it the final look. The cost to create these faux wood beams depends on volume. For example, in a home where there are 30 to 40 beams, Jorge says the price to finish them can be as low as 60 to 70 dollars per beam. Now if you only do a handful of beams, you can expect to pay a hundred dollars per beam. “The beams are a good example of what I tell homeowners: better to spend your money on rich architectural elements than on pricey overdone décor. A beautifully built home showcases itself. Beautiful and affordable. Wish you were closer to California as there are many Spanish style homes built here begging for these architectural elements! Beams make such a difference in creating the whole look. Great work!